Users can be persuaded, but can’t act. There’s two major phases in any political campaign: The persuasion phase and the mobilization phase. Facebook is primarily a persuasion tool. Advertisers, who market products and services, use Facebook as an effective persuasion tool. And the platform enables users to take action. If a commercial ad is successfully designed and targeted, users can click to initiate a purchase. For political campaigns, there is a time delay between persuasion and user action. Voting occurs weeks or months in the future. This degrades even the most successful political persuasion campaign. If a Facebook ad or post is persuasive, and induces strong emotions like anger, users can share, ‘like”, or comment but can’t take the primary action — They can’t click to vote. Further, Facebook has not been proven an effective tool for the second phase of political campaigns, voter mobilization and turnout. More about that later. Facebook is only one channel of omni-channel political communications. During the persuasion phase of political campaigns, Facebook competes for the voter attention. 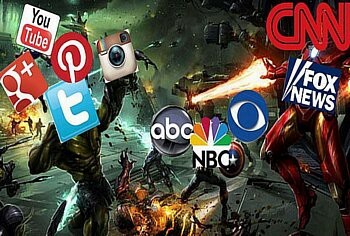 Facebook users are exposed to network and cable programs, commentators, other social media, influencers, celebrities, friends and family members. And Facebook’s popularity is waning, according to a new study by the market research firm SimilarWeb, Facebook has shed four billion monthly page visits over the last two years. And among younger voters Facebook is expected to lose 2 million users who are 24 or younger this year, according to eMarketer. Users remain in a self-created echo chamber. Since contemporary U.S. politics is polarized, Facebook users filter out what they want to read or view and from who they want to hear. They join like-minded groups and create friends lists. Facebook’s news feed filters news that meets the user’s preferences based on their likes, shares, and active commenting. This degrades Facebook’s persuasive value, making it unlikely a user will see or read opposing political viewpoints. Their candidate preferences are reinforced not manipulated by Facebook. Few voters change their allegiance to a candidate. During the 2016 campaign, the favorable and unfavorable ratings for each candidate didn’t fluctuate significantly. Still, together, the Clinton and Trump campaigns spent $81 million or 640 million ads on Facebook, and although the two campaigns spent over $200 million in the last weeks of the campaign, few voters were undecided in the last week of the 2016 campaign. Undecided voters have a low propensity to vote. The New York Times found for the 2018 mid term elections, a majority of the undecided voters never voted in a primary before. Most engaged voters “pulled the lever” for the candidate they supported at the beginning of the campaign. Meta-events can destroy months of political advertising. Political candidates are susceptible to bombshell negative stories in the last weeks of a campaign. It can depreciate months of successful political advertising. 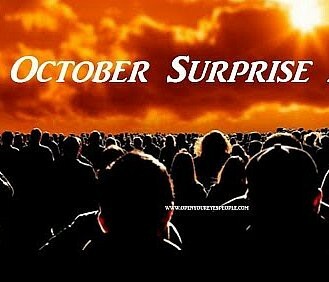 This is the so-called “October Surprise”. In 2016, each candidate suffered their October Surprise. Clinton had to endure the FBI Director’s announcement of the re-opening of her email probe. Trump faced the devastating release of the “Access Hollywood Tapes” featuring his groping remarks. Most political analysts agree that Clinton’s $1.2 billion campaign, including $40 million on Facebook ads, was negatively impacted by the Comey announcement. Fake news is more easily identified and exposed. In 2016, when a marketing company co-founder in Austin, Texas, tweeted about paid anti-Trump protesters being bused to demonstrations he included a photo of a long line of white buses on a Austin street. There were no buses packed with paid protesters. A software company issued a statement saying that the buses were associated with the company’s conference. It took almost 48 hours for the true story to emerge. With the spotlight on fake news on social media, users are more dubious. Both users and journalists now expose bogus stories and posts rapidly. And, although in the early stage, Facebook and other social media are developing anti-fake news, including hiring thousands of monitors to take down fake accounts and fake news posts. Candidate branding supersedes political communications. Key brands like Starbucks, Apple, or Tesla are not created in consumers’ minds through ads, or celebrity promotion or other social media. It is, in fact, all of these, an agglomeration. And it builds brand loyalty. The same is true for candidate branding. The candidate’s brand includes the candidate’s performance at rallies, in debates, their 10-second news bites, and on air commercials. Take the branding of Alexandria Ocasio-Cortez who beat Joe Crowley, a favored incumbent for the Democratic primary in New York’s 14th Congressional District. As Vox pointed out, “while she’s a vocal candidate with progressive ideals, she has an equally communicative, but silent, tool at her side: her visual brand.” Her posters feature vibrant yellow campaign posters printed with a portrait of Ocasio-Cortez with her last name book ended by Spanish exclamation points. And Barack Obama’s 2008 “Hope” logo had an effervescent effect on voters. At best, social media extends the reach of the candidate’s brand. Psychological profiling is ineffective. The “Frontline” Facebook series dealt with Cambridge Analytica’s psychological profiling in designing and placing political ads on Facebook. What was not mentioned is that both the campaigns of Senator Ted Cruz and Donald Trump dropped Cambridge Analytica because the company’s metrics proved ineffective. Brad Pascale, Trump’s digital director found instead that instant ad testing was a more effective ad design and targeting methodology. The Trump campaign tested tens of thousands of ad variations daily. The ads gaining the most response were duplicated to users having the same Facebook profile characteristics. Pascale told Leslie Stahl in a CBS “Sixty Minutes” interview that ‘it (Cambridge Analytica) just doesn’t work.’ Cambridge Analytica closed operations in 2018. Facebook doesn’t get out the vote. The primary goal of any political campaign is to get your supporters to vote. It’s the second phase of any campaign, and was intense for both parties in 2018. Facebook’s hasn’t shown the ability to mobilize voters. And voter mobilization has changed in recent years. Traditionally, the objective was to turnout to your highly motivated voters who vote regularly, or “high propensity voters”. This was generally the Clinton campaign strategy in 2016 and the Republicans strategy in the 2018 midterms. More campaigns are now focusing on voters who strongly support the candidate, but who don’t vote regularly or don’t vote at all— they’re lazy voters, or “low propensity voters”. The campaigns of Barack Obama in 2008, and Bernie Sanders and Donald Trump in 2016 used this approach. The Obama campaign in 2008 targeted low-propensity youth and African-American voters in key states. Trump also pursued a strategy of focusing on low propensity voters during the primaries and in the general election. 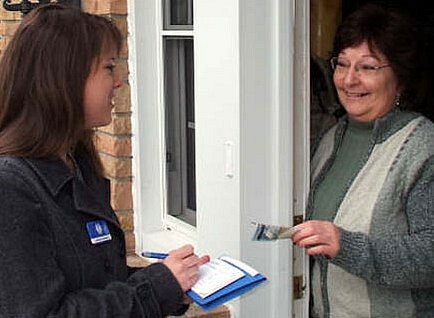 Motivating lazy voters takes massive direct voter contact — knocking on doors, making phone calls, directing voters to polling stations, and most important urging them to vote early with absentee ballots. For all the technology available to political consultants, mobilization or get-out-the-vote programs still rely on tens of thousands of volunteers — not “paid” volunteers”, and definitely not robo callers. Bernie Sanders campaign fielded a 100,000 person army of volunteers who made 36 million calls just half way through the 2016 primary season. There is a second goal of the mobilization effort. Hundreds of thousands of volunteers use party data bases to craft their message for the individual voter — whether knocking on doors, making phone calls or writing emails. Then the volunteers gather information directly from the individual voter and feed it back into the party data base. While Facebook collects user’s personal information and in some cases political preferences, direct voter contact provides critical data about a voter’s top issues and concerns. It is then blended with 3,000 consumer data points creating profiles on over two hundred million voters — ready for the next election cycle. The 2020 presidential contest will feature messaging apps, not Facebook. Politico reported that the emerging tech strategy, according to four officials involved in Trump’s reelection campaign, will reduce its reliance on Facebook and other social media. The president’s team instead is planning to reach supporters directly, making use of text messaging. Texting apps like Whatsapp and Messenger, both Facebook products, could become the primary voter contact channel. So Facebook user data may still figure prominently in targeting strategies. WhatsApp texting was successfully used by the winning presidential candidate in Brazil, Jair Bolsonaro, and in recent Mexican and Columbian elections. Final notes: There is one campaign aspect in which Facebook has proven effective — fundraising. The Trump campaign’s digital director, Brad Parscale, acknowledged that by adding donation buttons for people to click on in online ads, he was able to bring in a record $240 million in small donations. That makes sense since that’s what Facebook does best — enabling a user to act immediately after being persuaded. When and if there’s voting by mobile phone, Facebook will be a decisive campaign tool. However, the myriad of security threats associated with mobile voting plus the serious threat of vote selling makes that unlikely in the foreseeable future. For now, Facebook will remain one channel, among many for political persuasion, and an useful tool for fundraising, but hasn’t proven that it can deliver votes.